When you come to sell your house you are entering into a very competitive market. There will be many properties, just like yours, offering similar home comforts and a great location, and at the same price, so you need to be able to make yours stand out. Of course, you don’t want to be spending a lot of money to make this happen, so what can you do to make your house the one people will go for on a budget? Here are five great tips that should help! De-Clutter – all of those ornaments and trinkets that you have lying around, they may be lovely and precious to you, but they’re just clutter to anyone looking around your home with a view to buying. Take the time to put away anything that is personal, perhaps store them in boxes in your garage for the duration, as potential buyers want to see the space they can use. Thin Out – as with the above, you probably have furniture that is special to you; perhaps that old armchair that came from your parents and means a lot to you, or maybe you are a fan of occasional tables, and they crop up everywhere! 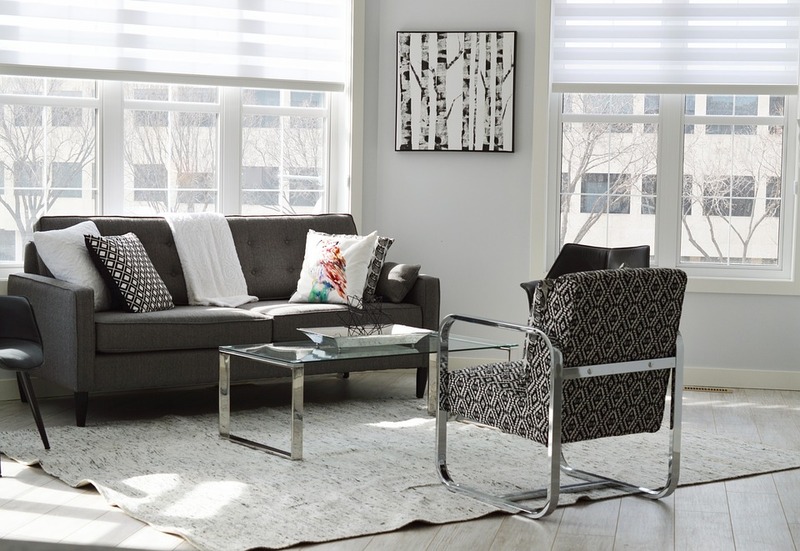 It’s no big deal – we all do it – but when it comes to showing people a home they want to buy, you need to show them one that is sparsely furnished so they can imagine their own furnishings in place. Put some stuff in storage temporarily, and let the space shine through. Colours and Paint – it may take up a bit of your time, but touching up or renewing paint is a good option when you are looking to impress viewers. If you have rooms that are decorated in very strong, very vibrant colours, you may want to think about repainting in neutral or less overpowering tones. Again, it’s about giving the view that blank canvas to work with, and allowing them to see their own imprint on the building and its surroundings. Also, fresh paint looks clean and tidy, so it’s worth a couple of days of your time. Get the Cleaners In – you can give the house a spring clean yourself, or you can pay a surprisingly affordable fee and get someone in to give your home a one-off pre-sale spring clean. It really makes sense and is a worthwhile investment, as you’ll be surprised how much brighter things look, even though you’ve been going through your cleaning routine every day. Don’t Forget Outdoors – it’s easy when dealing with what’s inside your home to forget about the outdoors. Your yard or garden might benefit from tidying, make sure you cut the lawn, cut back any overhanging trees and perhaps put a few nicely placed pots with plants in on your approach path – every little helps! That’s five cheap and useful ideas that will give your home a head start when you come to invite viewers around, and for the little time it will take you, they are all well worth the effort!